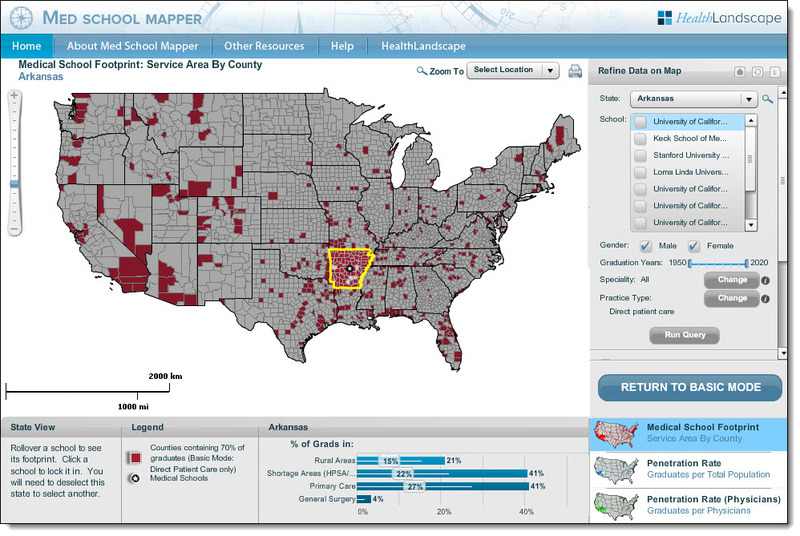 This year we launched an online data explorer tool for health care professionals and policy makers, called the Med School Mapper. The goal of this tool is to map the reach (or footprint) of medical school programs and graduates. This information is used by state policymakers to direct expansion funding for medical school programs. The tool was built using ArcGIS Server and Flex API. View the tool today, and see how it is capturing the impact of local and regional medical schools.